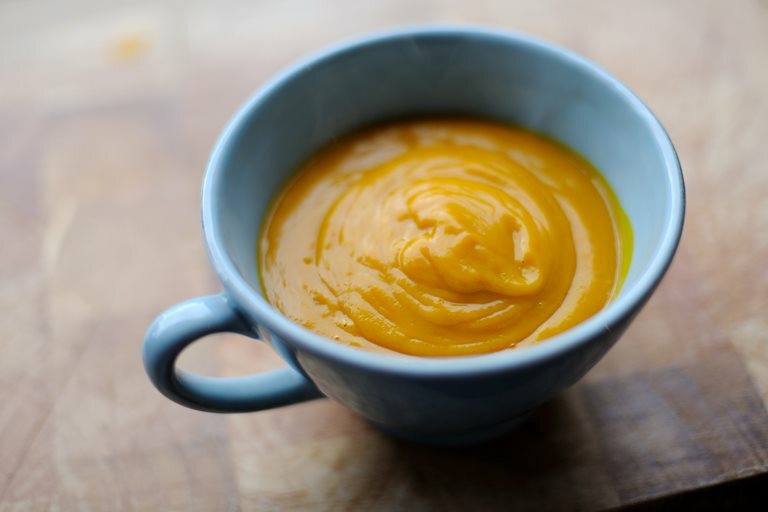 This simple pumpkin soup recipe from chef Robert Thompson will go a long way to banishing any winter blues. The smooth and creamy taste is achieved through baking the pumpkin in foil parcels with thyme and butter. Discard the thyme. Sweat the onion in a little oil until soft, add the baked pumpkin pieces, chicken stock and bring to the boil. Robert Thompson's cooking is full of character and classical skill.